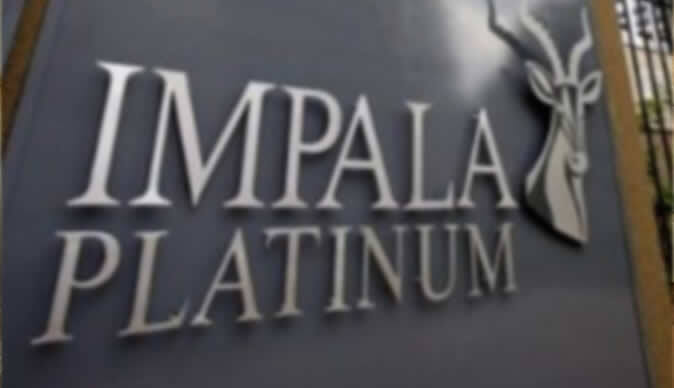 IMPALA Platinum is confident an amicable resolution will be found with the Government after it was ordered to transfer 29,5 percent of its shares to the National Indigenisation and Economic Empowerment Fund in order to comply with local empowerment laws. Implats Group corporate relations manager Alice Lourens told South African media yesterday that her company would not defy the Government, but hinted that Implats would engage the Government to ensure the laid-down mining and ownership laws have been fulfilled. In a letter written last week, Youth Development, Indigenisation and Empowerment Saviour Kasukuwere advised Mimosa that a portion of its indigenisation proposals had been rejected. Implats said it was concerned to note the statement by the minister that unless an agreement was reached with the NIEEF to transfer the required shareholding within 30 days, enforcement mechanisms would be activated. Officials were, however, confident of a breakthrough. "Shareholders are advised that negotiations with the minister will be undertaken in an attempt to reach a mutually acceptable solution. Shareholders will be informed of further material developments as they occur," said Lourens. The latest developments come as the rift between Government and the biggest platinum miner over the latter's compliance with the indigenisation laws continues to widen. While Zimplats was the first mining company to implement the indigenisation process — demonstrated by the launch of the share ownership scheme for the Mhondoro Ngezi-Chegutu and Zvimba communities — all its efforts appear to be coming unstuck as Government insists the company fully complies with the process. The stake in question has been a source of contention between two, stemming from an agreement they entered into in 2006. That year, Zimplats released underdeveloped claims to Government to give other players a chance to invest in the sector. According to Zimplats, the piece of ground with platinum reserves is worth an estimated US$153 million, representing between 18 and 27 percent of the company's weighted average value. Zimplats resolved to convince the Government to award empowerment credits for a block of platinum reserves. Zimplats has demanded 29,5 percent in empowerment credits to achieve compliance with the 51 percent indigenous ownership. In its indigenisation submission, Zimplats proposed the disposal of 10 percent to communities, 5 percent to employees, 6,5 percent to a sovereign wealth fund and the balance for the 51 percent local equity to be treated as credits. But until now, this prospect has not been granted, essentially because the Indigenisation and Economic Empowerment Act and the framework for achieving its goals were only finalised last year. The Government has also rejected the demands for empowerment credits, as this is not provided for in the indigenisation legislation. Frustrated by protracted discussions on the matter, the Government has now identified the NIEEF as Zimplats indigenous partner. The State has also threatened unspecified action without notice. Indigenisation laws require all foreign-owned mining firms operating in Zimbabwe to transfer for value at least 51 percent of their shareholding to indigenous black Zimbabweans. Apart from the US$100 million share ownership scheme for the Mhondoro Ngezi-Chegutu and Zvimba that represents 10 percent of the firm, the platinum firm also set aside US$10 million to fund the establishment of a board of trustees that will administer the shares on behalf of the communities. General Notice 114 of 2011 directed all mining firms, with at least US$1 asset value, to submit empowerment plans by September 2011. Ostensibly, in view of the numerous but fruitless engagements with the Government over the issues and developments that have taken place since 2006, this expectation might no longer be legally tenable. But it must be noted that even when the agreement was signed in 2006 it did not specify how much credits the firm would receive, as Government had not finalised the indigenisation framework. This assertion is contained in US diplomatic cables released last year by the whistleblower website WikiLeaks and created in 2006 by former ambassador to Zimbabwe Mr Christopher Dell. Mr Dell attributed the company's position regarding the empowerment credits to former Zimplats chief executive Mr Greg Sebborn. "Zimplats (former) CEO Greg Sebborn told econoff on May 24 that the company was signing an agreement with the Government of Zimbabwe that day, valued at US$153 million, to release 36 percent of its ground to the parastatal Zimbabwe Mining Development Corporation. "The agreement did not specify how much empowerment credit the platinum giant would receive in connection with Government of Zimbabwe indigenisation plans that have yet to be finalised," said Mr Dell. This agreement has since been overtaken by events, following the gazetting of the Indigenisation and Economic Empowerment Act (2008) and General Regulations for implementation (2010). Credits were also not provided for by a sectoral committee, part of 13 sector specific committees set up to draft modalities and equity thresholds for the empowerment programmes. Thus, Government has rapped Zimplats for backtracking on a mutual agreement reached in November last year to discuss compensation for the release of ground, as opposed to the credits. Further discussions between Government and Zimplats are expected this week when the latter's chairman, Mr David Brown, is expected to fly into the country in an effort to reach common ground.